Benitez makes NUFC stay his ‘main priority’ ahead of crunch talks – & has ‘top 8’ plan – Report – NUFC blog – Newcastle United blog – NUFC Fixtures, News and Forum. Rafa Benitez has made staying at St James’ Park his top priority ahead of crunch talks with Lee Charnley according to the Chronicle. 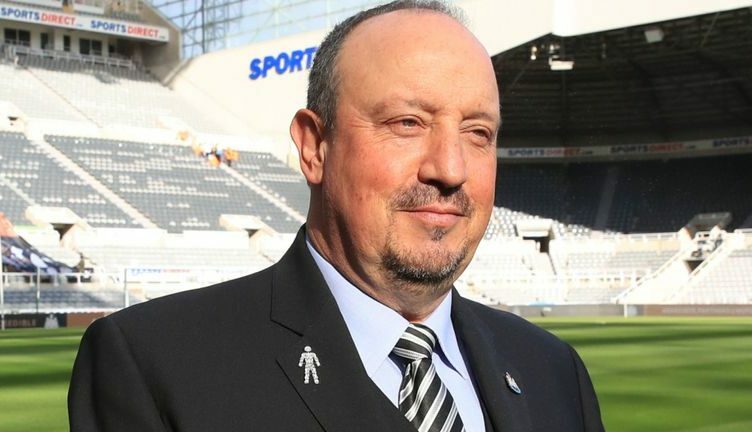 The piece states that Rafa will give Mike Ashley ‘every chance’ of securing his services in ‘good time for next season’ – suggesting he’s keen to get the situation resolved as soon as possible and begin putting his summer plans into action. The Chronicle also reveal Rafa’s intentions to turn the club into a ‘top-eight side’ – something he feels isn’t a million miles away as long as a few changes are made ‘behind the scenes’. Rafa Benitez has made staying at Newcastle United his main priority ahead of crunch talks with managing director Lee Charnley. The Chronicle understands that Benitez will give the Magpies every chance to secure his services in good time for next season. Benitez is keen to transform Newcastle into a top-eight side in the Premier League in the next few years, and feels that the club aren’t too far away from that possibility IF certain changes are made behind the scenes . United are willing to get Benitez’s extension deal agreed but Mike Ashley wants to continue cutting his cloth accordingly and wants to bring in younger players will sell-on value. The same report also distanced Benitez from a shock move to Celtic this summer, insisting that his main focus is to remain on Tyneside despite his odds to join the Hoops dropping from 20/1 to 5/1 in recent days. Mike Ashley’s thought process in all of this can never be second guessed, but the situation seems quite clear from Rafa’s perspective. It seems that these ‘crunch talks’ won’t take place until our Premier League status is secured – with Benitez big on avoiding distractions when there’s still work to be done – but it’s clear that the ball is in Mike Ashley’s court. Back Benitez and reap the rewards – or strip your club of its biggest asset and face the wrath of Newcastle fans. It shouldn’t be a difficult decision..
St. James’s Park the club would still make money and so remains an asset for Ashley. The Wrath of the fans, what a laugh, after a decade he shows why he’s one of Britain’s top money men.